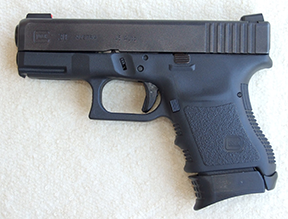 ​We do accept the transfer of firearms you have purchased elsewhere for a fee, $45 for long guns and $55 for hand guns. We encourage you to check with us first to see if we can get the gun you are looking for at same price. There are transfer fees and shipping and handling charges involved when buying firearms online, be aware of those additional charges. All transfers are bought as is, your financial transactions are between you and the seller. We are simply receiving the gun for you and performing the required federal paperwork. We offer no warranty on transferred guns. When your firearm ships you may receive a notification stating your firearm has been delivered. This does not mean your firearm is ready to be picked up, it must first be processed. We will give you a call when your firearm is ready to be picked up. We appreciate your patience in this matter. Please complete the following form regarding your requested firearm transfer to help us get started. Please read the notes on the left regarding a firearm transfer.